I’ve liked Joe Pug since the first time I heard him sing. We were at Vaudeville Mews in Des Moines to see Josh Ritter play to a packed house of 200 people. When we arrived, Pug was already about halfway through his set. He started singing a song, which I later found online called “I Do My Father’s Drugs,” and I couldn’t take my eyes off of him. The song was beautifully written, and he sang it so well-I couldn’t believe I’d never heard of him before. After that I went home to seek out whatever material I could find by him. He had two EP’s available so I got both of them. Nation Of Heat has the song I mentioned, and In The Meantime (which is a free download if you join his mailing list) has two great songs: “Lock The Door Christina” and “A Thousand Men.” In 2010 Joe released The Messenger, his first full-length, and it was everything I had hoped for. One thing that helped The Messenger stand out as a really solid album was the inclusion of a full band on a couple tracks. Joe mainly plays solo, but with that release he started touring with a full band and recording as such. It adds a whole new dimension to his songs, and creates a more complex sound. He still played the majority of the record solo, like “Bury Me Far (From My Uniform)” and “Unsophisticated Heart,” but there was room to add more instruments as needed. 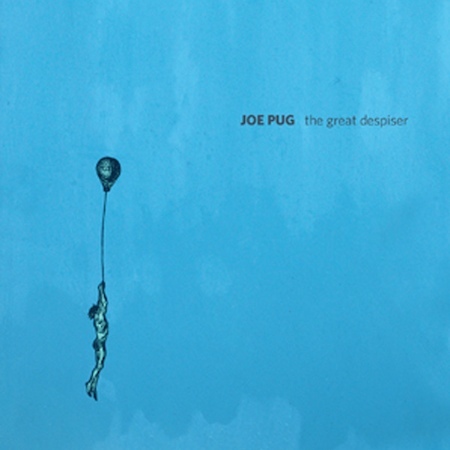 For his new release, The Great Despiser, Joe Pug has taken the band to the next level. Some fans may look at this album the way folks did when Dylan went electric and just throw in the towel, calling him a traitor. The truth is, a lot of great folk music can be played with electric guitars, you just need to be open to it. The Great Despiser still features a lot of Joe Pug’s signature string-plucking and soulful lamentation, he’s just doing it in between songs that are fun and more widely appealing. It’s not perfect. The songwriting isn’t as solid here as it is on his previous efforts. That’s possibly becuase he’s writing for a bigger sound, letting the band make his points instead of his lyrics. When he plays acoustic and alone, the keen observer returns and he pens some really great words. The album does lack some of the intensity that Pug brought to The Messenger, though. I could probably attribute that to the past couple years he’s spent almost entirely on the road. My favorite song on the new record is “A Gentle Few.” It’s a Cat Stevens-esque lullaby of fatherly advice. There are certainly a lot of religious overtones throughout The Great Despiser, and this song could easily be interpreted that way. The last verse really gets me with it’s opening line, “Remember in the end/that many of your friends/would rather be dead than uncertain.” It reminds me a lot of the political climate we currently find ourselves in, with fundamentalists unwilling to bend, so sure that what they believe is right and everyone else is wrong. The title track off the album is one of the most rockiing tunes on The Great Despiser, and it features The Hold Steady’s Craig Finn. That might explain some of the Springsteen swagger I felt in the rhythms of the tune. Also featured is my favorite Maine-based producer/pianist Sam Kassirer. Bringing in two heavies like these guys definitely adds some credibility to a record that doesn’t really need anyone to speak for it. I do sometimes wish that the sound was more consistent, though. Either have the whole band playing on every song or do them all solo. Maybe as Joe gets more comfortable writing for a fuller sound, he’ll also be able to excise some of the songs that cut everyone else out. Any time Joe Pug has new material out, it’s reason to smile. He’s a sharp guy with a lot to say, and I’m more than willing to sit and listen. This is his sixth release since 2008, including a live album recorded right here in Chicago at Lincoln Hall. Part of me wishes he would take a break and give himself some time off. Between touring and recording, I’m guessing he hasn’t had a week to himself in over three years. Another part of me hopes he never takes a break becuase I like knowing that it’s never too long before the next EP or album. I do fully recommend picking up The Great Despiser. I don’t think that the songwriting matches the strength of The Messenger, but that album was extremely well-written. Expecting a person to match that in such a short time is unfair. The sound is definitely opening up, and Joe seems willing to explore avenues that he wouldn’t have before. I look forward to his continuing maturity as a song creator. This album comes out today, so go get it and then grab all his older stuff as well. You won’t be disappointed. Pingback: Joe Pug-“Stay And Dance” | Music. 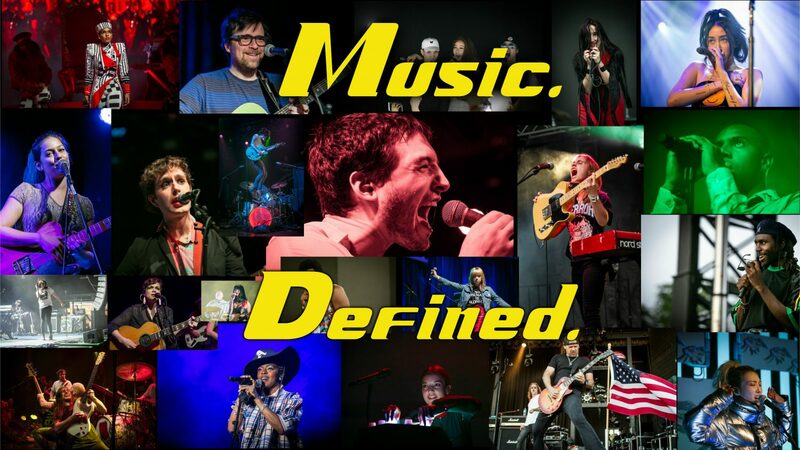 Defined.